1974 - Born in Miskolc. 1989-1993 - Accomplished his secondary education as a violin student at the Béla Bartók Music Conservatory in Miskolc. 1993-1995 - Completed his studies of stringed and plucked musical instrument making and restoring at the Musical Instrument Making School of the Franz Liszt Music Academy under the supervision of István Harsányi. 1995-1998 - Studied in Cremona. Masters: Claudio Amighetti and Maurizio Tadioli. In Cremona he met Balázs Gollob and Bence Holló, who both had great professional influence on him and still regards Gollob as a significant craftsman. 1998 to date - Running his own workshop in Miskolc. 2014 - Started learning bow making from Bernd Etzler. 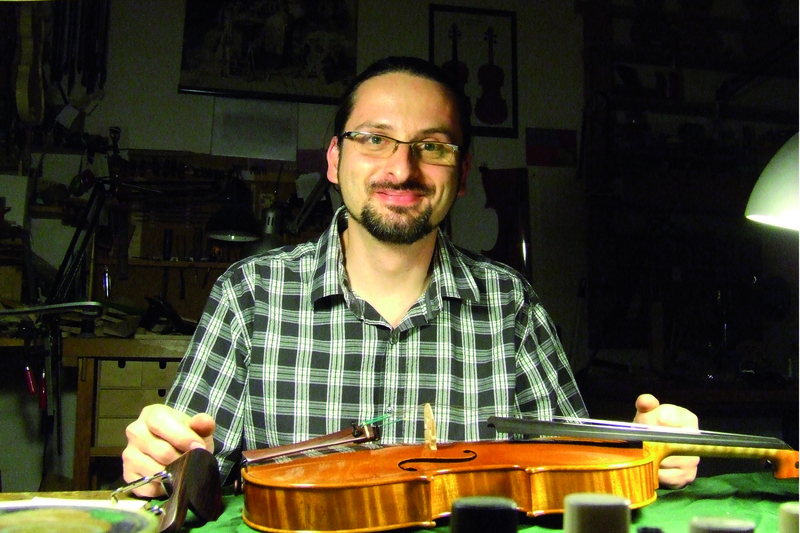 Vice President of the Hungarian Society of Violin Makers. 3531 Miskolc, Győri kapu 72.